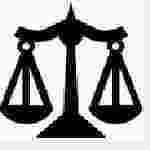 Uttarakhand High Court Driver recruitment 2016-17 apply for 2 vacancies : Uttarakhand High court welcomes application for the position of 02 Driver in the establishment of High court of Uttarakhand, government of Uttarakhand. Candidates who completed their VIII class is a good opportunity.The individuals who are the occupation seekers searching for govt employments in Uttarakhand this is the best chance to apply. Competitors read the official notification then read all the guidelines and miners precisely then apply before the last date online application got. All the interested and eligible candidates can apply before 15th July 2016. Candidates Age Limit: The age of the candidate should have attained the age of the minimum age of 21 years and should not be more than 42 years. The age of the applicant should be as on 1st January 2016. However, relaxation in age will be admissible as per rules of government of Uttarakhand to the applicants belonging to schedule caste categories candidates / schedule tribe categories candidates and other backward class categories candidates. Academic qualification details: Candidates must have passed class VIII and must be able to read and write Hindi and must have knowledge of English alphabets and numerals and have a valid driving license for driving of light motor vehicle. Details of Fee particulars: All the interested and eligible candidates are need to pay application fee Rs 100/- for schedule caste (SC) categories candidates / schedule tribe (ST) categories candidates through demand draft of any nationalized bank drawn in the favor of Registrar general, High court of Uttarakhand, payable at Nainital. Process of applying for the job: All the interested and eligible candidates may apply in prescribed application form along with photocopies of relevant documents and experience certificate send to the Registrar General, High court of Uttarakhand, Nainital:- 263002 on or before 15th July 2016. Important Dates: All the interested and eligible candidates can apply before 15th July 2016.